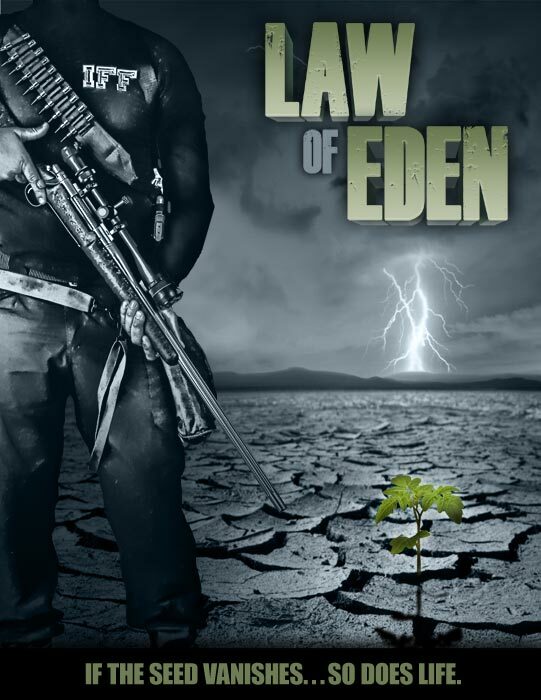 “Law of Eden” is a futuristic three-part min-series thriller that follows a small town community of farmers and their will to survive while standing up to the International Food Federation (IFF). The IFF portrays itself as being the answer to the world’s food shortage; but in reality it’s goal is to harness the world’s produce for the political goal of creating and controlling a totalitarian government. Can the courage and determination of the people win out to accomplish their goal of revealing the motives of the IFF in showing it’s true mission? Will they be able to bring the “Law of Eden” back to a people who are starving not only for food…but for liberty?